Share "Attacking Crabgrass and Maintaining a Crabgrass-Free Yard This Year"
Crabgrass can be the bane of any beautiful lawn as it spreads insidiously through the yard, but with diligent care, it is possible to tame and eliminate this problem. Crabgrass is one of the most widespread weeds, with several different types that can invade lawns with a vengeance. It is a tropical grass with broad, thick leaves that branch out in a star-shaped pattern, staying more horizontal than vertical in the lawn. This generally keeps it less noticeable until it has begun to spread, making it more difficult to remove. Mowing does not harm crabgrass, and in fact an overmowed lawn can be more crabgrass-friendly, giving the weed more space to spread out. But understanding more about this weed is the first step toward eradicating it. Because crabgrass grows throughout the growing season – from spring to fall – it must be attacked at all times, and it is crucial to stay vigilant in the fight against crabgrass. These five steps can minimize crabgrass in any lawn and keep the turf healthy and free of these unsightly weeds. It is best to remove crabgrass right away, before the weed has extended deep roots into the lawn or begun to go to seed. If crabgrass is removed when the blades are just seedlings, there is less damage to the surrounding lawn and the turf can recover more quickly. Opting for preemergent herbicides can help eliminate crabgrass before it begins. Fortunately, crabgrass can be easily pulled, and if the root is severed, it is less likely to grow back unless the root has become large and well-grounded from a large plant. Pulled crabgrass should be discarded carefully, however, not placed into a compost pile where it may simply find fertile ground to sprout again. Chemical herbicides can be effective against crabgrass, but they should be used carefully. Choose a formula that is selective to just crabgrass or the entire lawn may be inadvertently killed or damaged, and always apply the products at the right time and in the proper concentration for your specific lawn's needs. When crabgrass is pulled or dies from chemical treatments, the turf should be reseeded quickly so new weeds do not have room to move in. Small patches can be reseeded by hand, but if a lawn has been infested with much crabgrass, full reseeding may be the better choice to thoroughly cover the turf with healthy seeds. The best defense against crabgrass is a strong, healthy lawn. 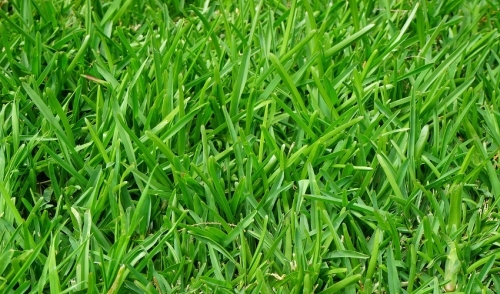 Use the appropriate fertilizer for your lawn type, and keep the grass slightly longer to shade soil – crabgrass needs abundant sunlight to germinate. Watering your lawn appropriately will also minimize crabgrass, since too much moisture is more weed-friendly. Crabgrass can be tough to remove, but with constant vigilance against this noxious weed, it is possible to attack the problem and maintain a healthy, crabgrass-free lawn.